HFT Trading is a type of algorithmic trading via electronic data transfer protocols at ultra fast speeds. Data transfer rates reach 10,000 messages per second and the time stamp is measured in nanoseconds. Сomplex technological tools and computer algorithms are used for fast high-frequency trading. The profitability of such systems directly depends on the capabilities and quality of communication channels and equipment power. Among all applications, the first to be executed is the one that will be first in the queue. 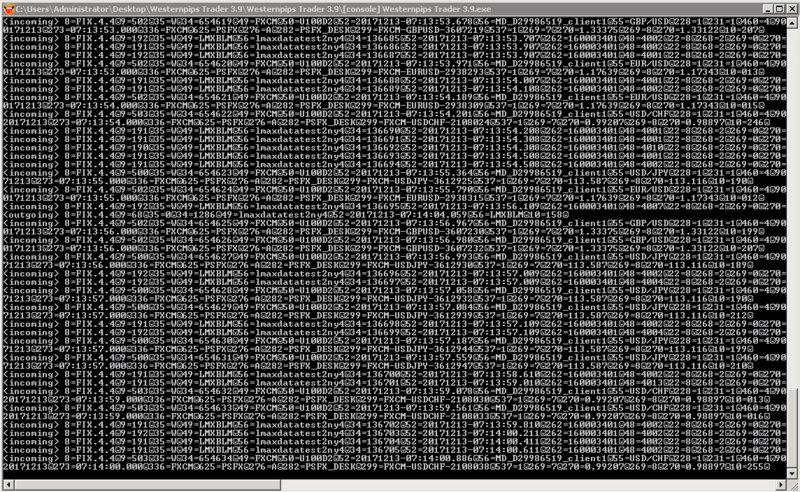 And the main task of HFT algorithms is how to quickly place your order in mono and process the received market data. The basic terms in HFT trading are speed, secret technologies and algorithmic trading. Today there is a whole industry of firms and hedge funds, whose activities are directly related to HFT trading. As a rule, these firms do not disclose their trading algorithms and secrets of their skills and attract private investment in large volumes. HFT trading combines a variety of trading strategies, latency arbitrage, index arbitrage, currency arbitrage, volantily arbitrage, statistical arbitrage and merge arbitrage, as well as global macroeconomic, long / short capital, passive market creation and so on. HFT traders rely on ultra-fast speed of computer software, access to high-speed data channels (using FIX API and ITCH technology ), important resources and connectivity with minimal latency. View a list of Software for HFT Trading. How to make money in HFT trading? HFT trading is one of the most profitable and risk-free areas of trade, but at the same time it requires special knowledge and skills in this area and here you can not do without the initial starting capital. There are several strategies according to which high-frequency traders act. • Market Making, Electronic Liquidity Provision - a trader providing liquidity and making a profit from the spread (the difference between the purchase and sale prices). Additionally, for the provision of liquidity, improving the quality and attractiveness of the trading platform, traders can receive payments from stock exchanges or ECN, or save on transactional payments due to discounts. • Statistical arbitrage, in which the trader tries to identify correlations between different securities and take advantage of the imbalances between them. Arbitration can be made between exchanges of different countries, exchanges of one country, between various forms of a traded index (for example, arbitration between a security and a derivative instrument from it). • Liquidity detection , in which high-frequency traders are trying to detect large orders or hidden orders, including from automated systems, constantly sending small orders to the market, and tracking the time they are completed. 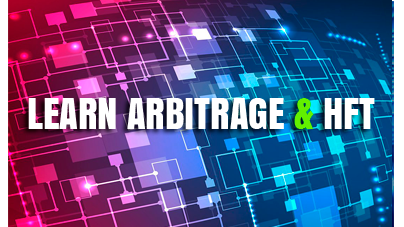 • Latency arbitrage , in which the high-frequency trader gains an advantage due to earlier access to market information, for example, using a direct connection to the trading platform, hosting servers near exchanges. 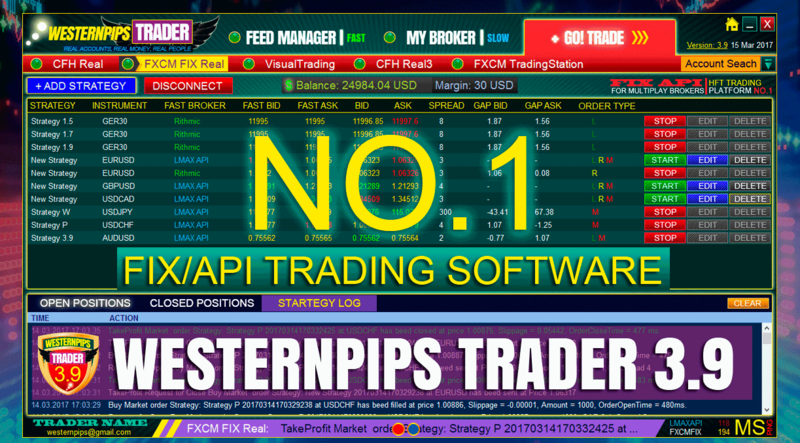 The Westernpips FIX Trader 3.9 Software is a platform integrated with the world's largest brokers using the FIX / API technology. The built-in high frequency trading algorithm allows you to trade directly through the FIX protocol, the world's fastest financial data transfer protocol. You just have to choose a broker and start earning now! High-frequency trading using high-end server hardware and special software for instant analysis of market data and concluding ultra-fast transactions at a speed in fractions of milliseconds. Trading strategy used worldwide. The share of HFT traders is up to 80% of the total volume of transactions. 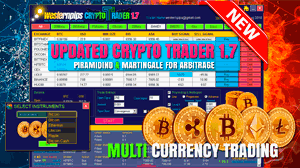 Combines different types of algorithmic trading based on the speed of transferring and receiving market data and issuing a large number of trading orders in a very short time interval. 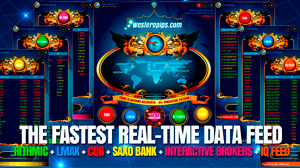 High-frequency trading using professional software and server equipment of the highest class to provide the advantage in connection speed and transmission of trade orders. Trading with a high frequency of transactions and data transfer speeds. This type of trading is possible only through special data transfer protocols FIX, API, ITCH, FAST and others. HFT trading firms and companies. As a rule, these are large market players that do not disclose their algorithms and do not publish reports. They play mostly on their own capital and rarely on the capital of large private investors. Algorithms used in HFT trading have a lot of options. This includes volume analysis, spread trading, identification of large orders and market modeling. All this is done by robotic programs without human intervention. High-frequency forex trading became possible not long ago with the emergence of the ability of some brokers to trade via the Fix protocol. But you still need a large enough deposit of 10,000 USD to open this type of account, and you can also be charged a monthly connection fee. 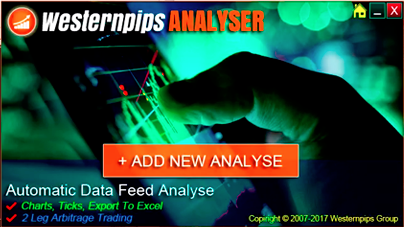 Special trading algorithms for ultra-fast data analysis and issuing short orders. Such algorithms are capable of performing up to 10,000 operations per second, which is beyond the control of a simple trader. Algorithmic company, the main purpose of which is to extract profits on the financial market by forecasting exchange rates and stocks at very short time intervals. As a rule, the time stamp is here at the nanosecond level. Strategies for which HFT firms operate. The main strategy for which the company works Westernpips is latency arbitrage. Trading platform for high-frequency trading. To date, there are very few ready-made HFT trading solutions in free access and it is very difficult for a novice trader to navigate in all the intricacies of work. You need to have special knowledge and skills in order to start, as well as have money to replenish the deposit and purchase software. Our company has developed a unique trading platform for HFT - Westernpips FIX Trader 3.9 in which, thanks to an intuitive interface, even a beginner can start working with HFT algorithms. 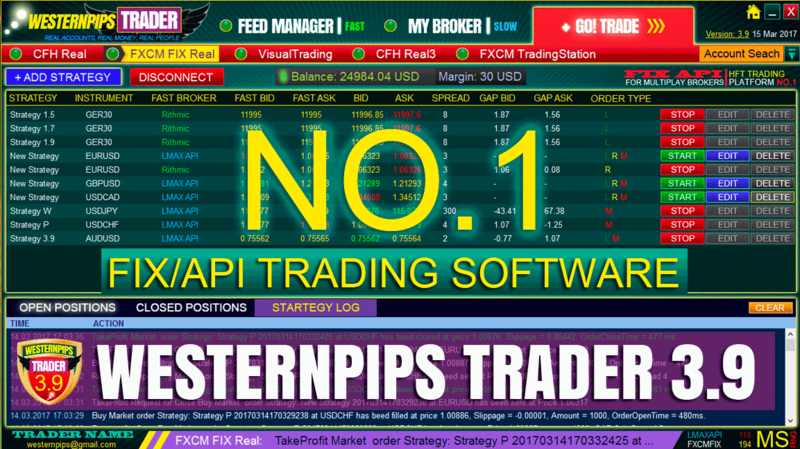 The program for high-frequency trading Westernpips FIX Trader 3.9 is a unique development of our programmers with an integrated latency arbitration algorithm on today's largest brokers and liquidity providers. Trading algorithm based on lagging quotes and comparing fast and slow brokers. On those brokers where there is a clear delay in quotations, it is necessary to trade and make a profit. Development of specialized programs and algorithms for HFT trading. Here, an important role is played by the experience and high qualification of programmers involved in the project, since every millisecond has to be written, as little code as possible and measure the speed of its work in order to get the best possible performance. 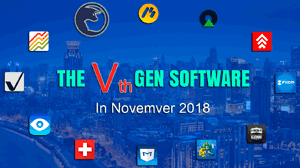 Turning to the programmers from the company Westernpips, you get a guaranteed result and the best software product! Brokers and liquidity providers endorsing HFT trading. Such brokers should execute your transactions in fractions of milliseconds and not interfere with the correct and accurate execution of orders at the price requested by the client program. The best HFT firms are very large and independent players on the market. As a rule, these are private companies, about whose activities little is known. 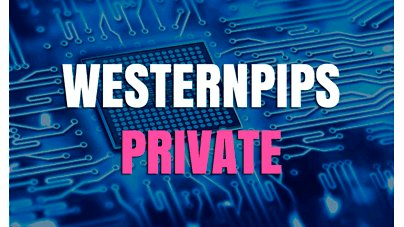 The first company that makes HFT trading available for ordinary retail traders is Westernpips with its unique developments and public data. For a little money, you can purchase software for latency arbitrage and HFT trading, as well as receive comments from our experts.